Since 1956 Sheridan Communications has stood for quality, service and dependability. As a privately owned business, personal pride is taken both in the work produced and the relationships that have been forged. 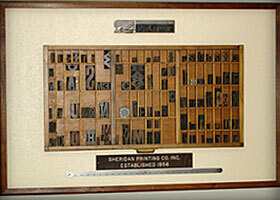 Presently, Sheridan Communications, Inc. serves an established base of clientele which includes many of its original customers. The stability it enjoys today is based on over 50 years of experience coupled with an attentive eye to the future. The company has committed itself to keeping in step with advancing technologies while maintaining customer service as a priority.